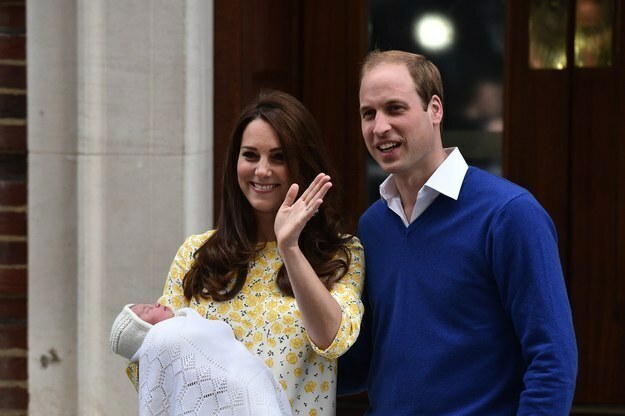 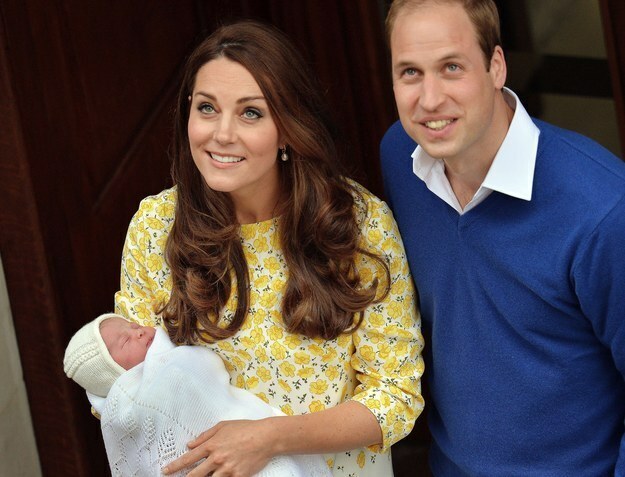 The Duke and Duchess of Cambridge introduce their newborn princess. 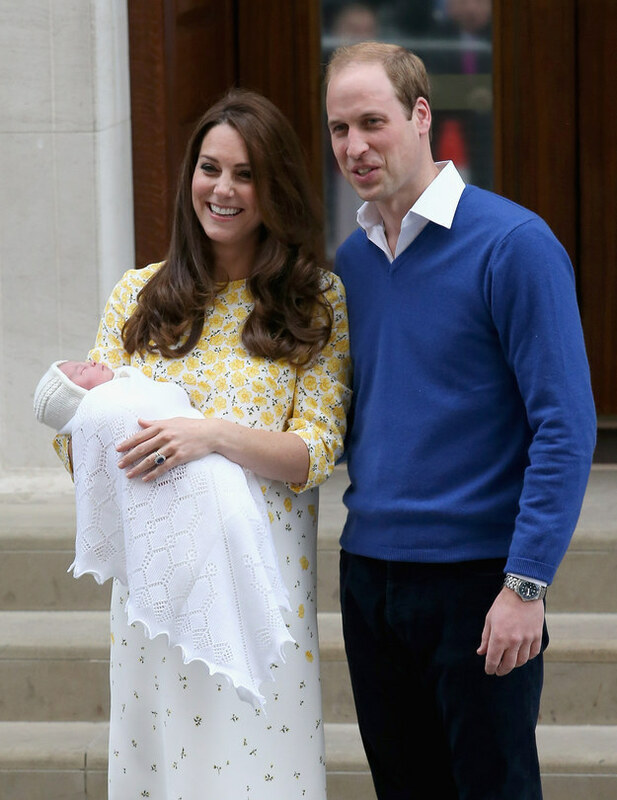 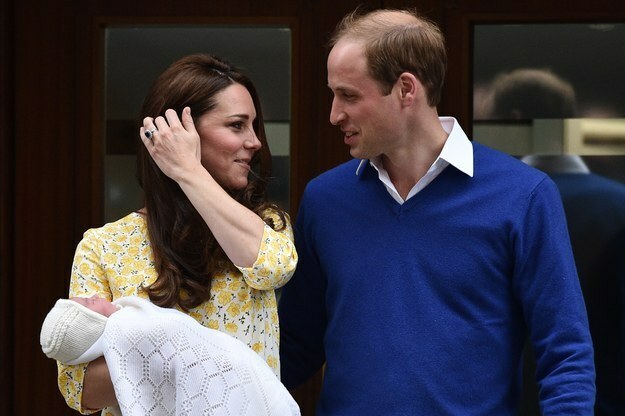 The Duke and Duchess of Cambridge introduced their newborn daughter to the world Saturday. 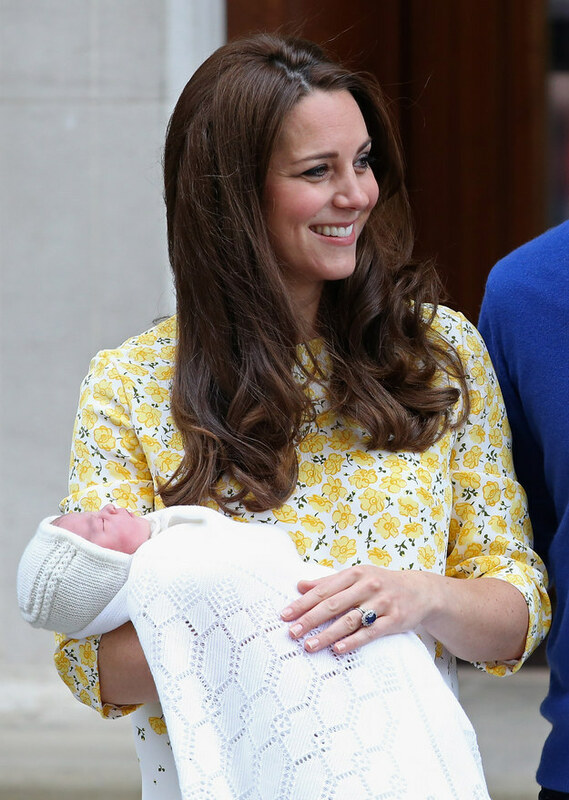 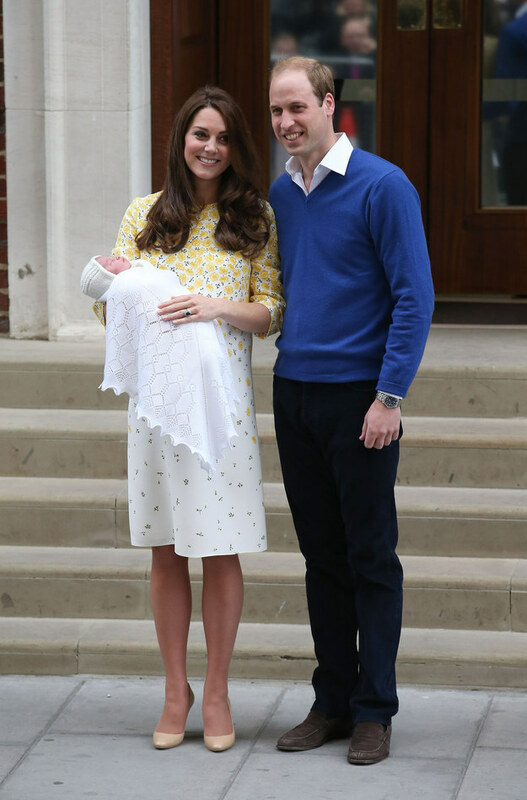 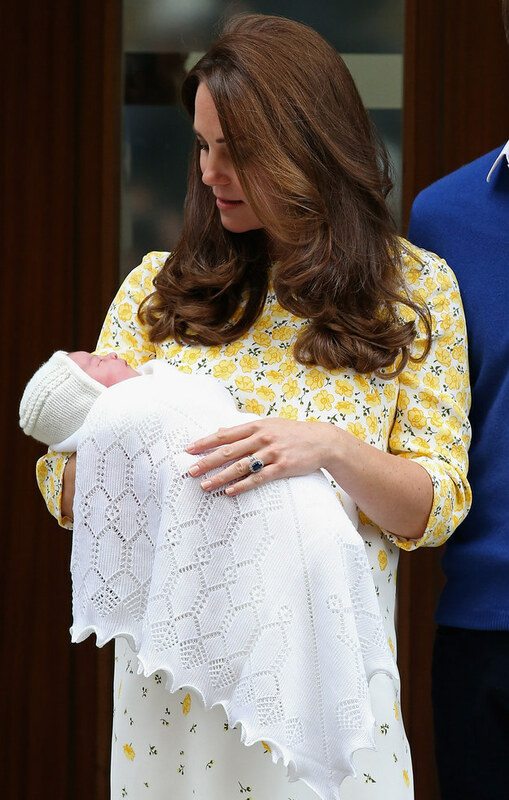 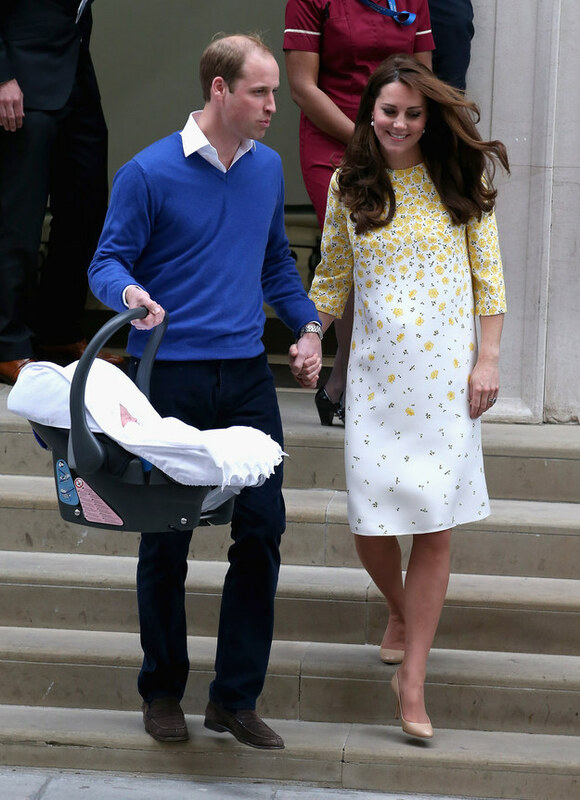 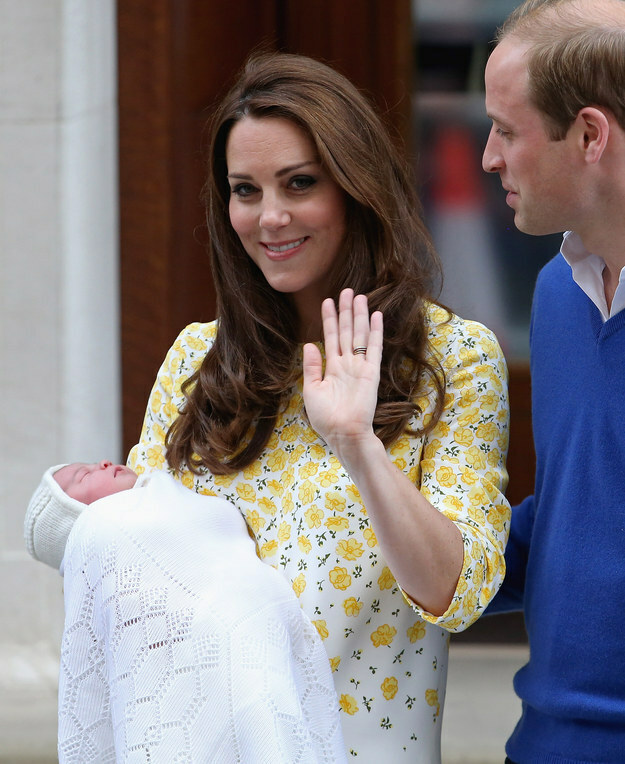 Despite having given birth TEN HOURS ago, Kate looked flawless, as per usual. 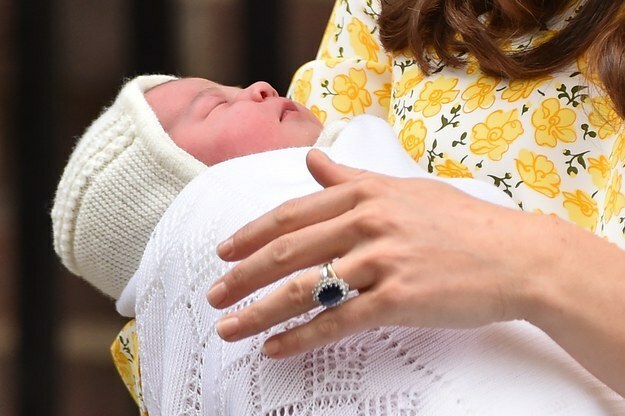 The couple have not announced their baby girl’s name, which is normal for royal babies. 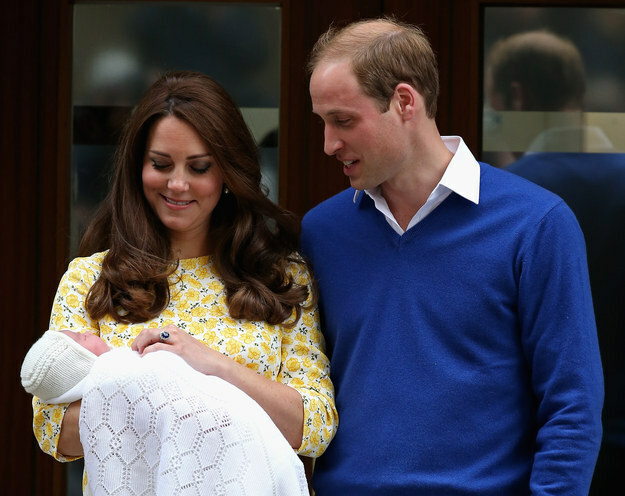 Prince George’s name was announced two days after his birth. 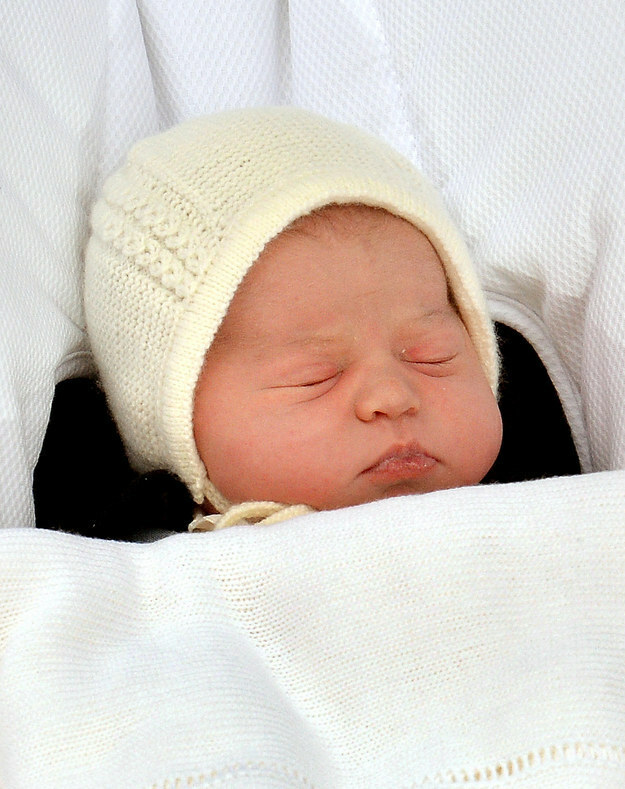 The Princess of Cambridge slept throughout her first official appearance. 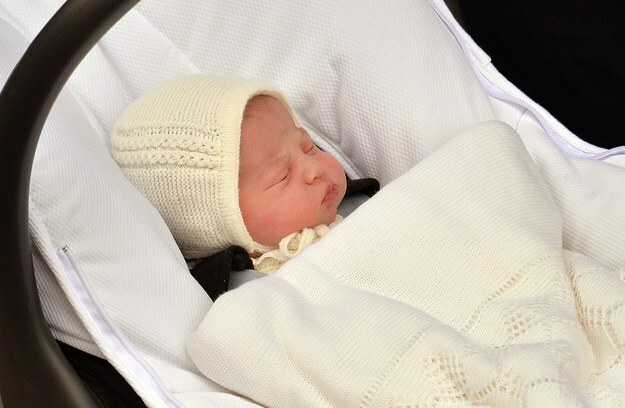 After their brief appearance in front of the cameras, the Duke and Duchess exited the hospital with their baby girl in a carseat to head home. 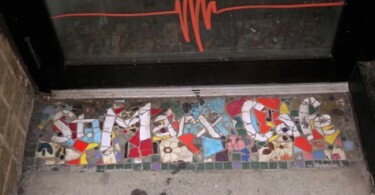 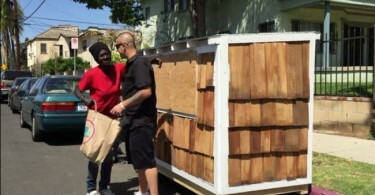 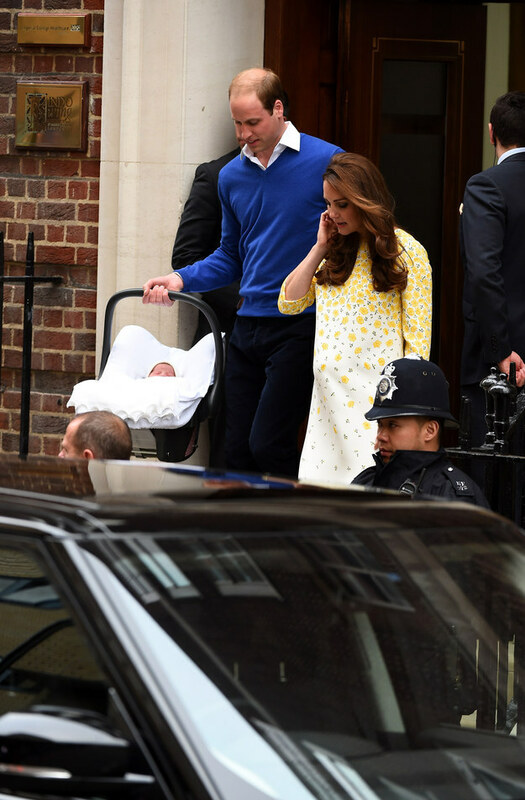 They held hands as they made their way to the car. 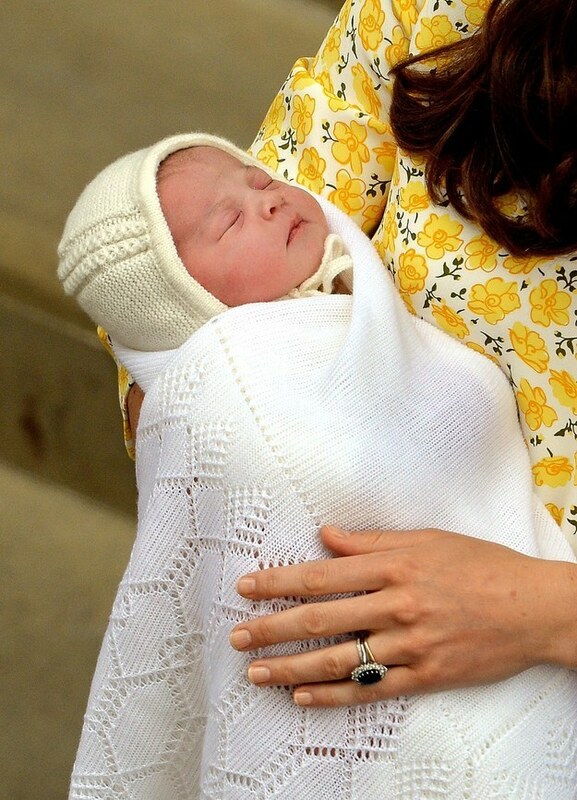 The princess was wrapped snuggly in a shawl and a tiny knitted hat. 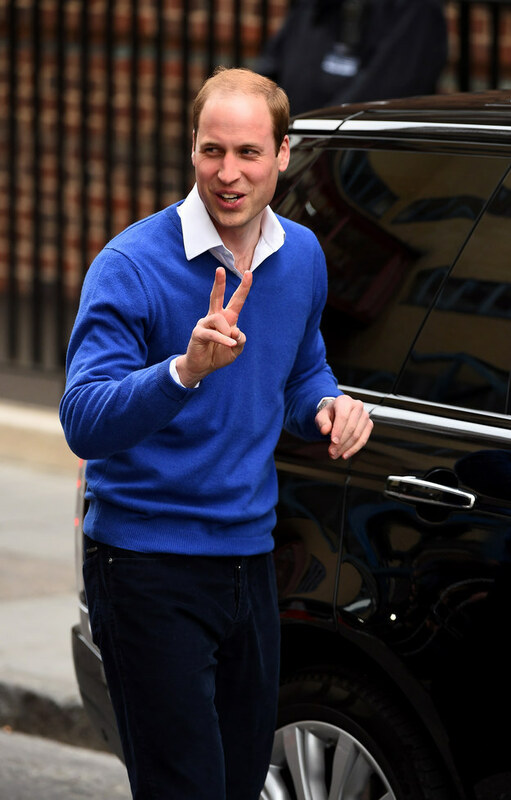 After loading his daughter into the waiting car, Prince William cheekily said, “Two out of two,” referencing the fact that he successfully got the carseat buckled into the vehicle. 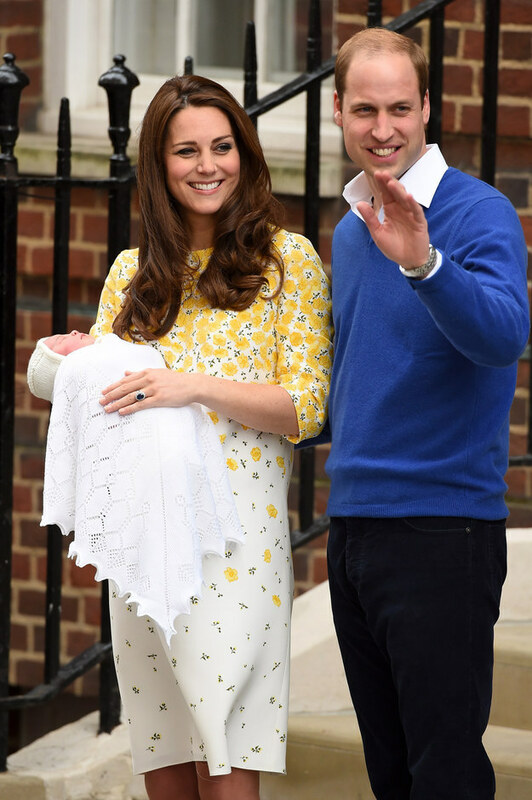 He then climbed behind the wheel to drive his wife and child home to Kensington Palace, to start their life as a family of four. 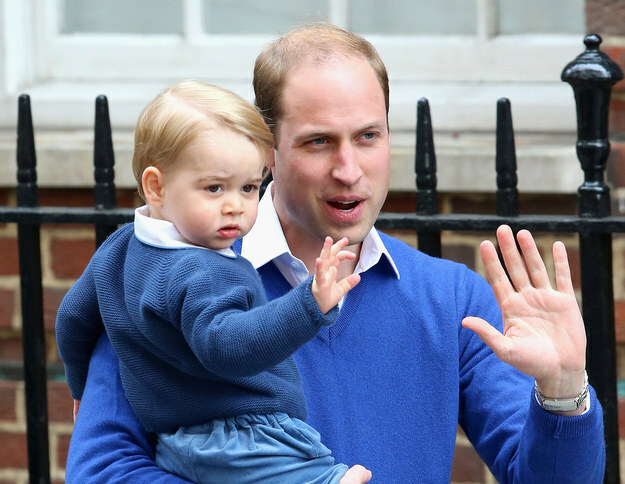 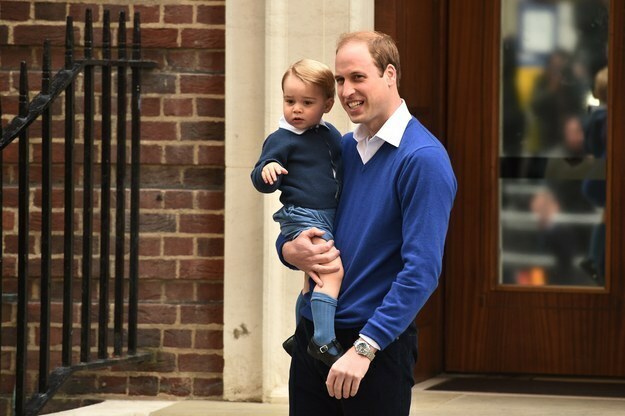 Earlier, the Duke of Cambridge brought Prince George to the hospital to meet his new baby sister.